Do I need to check the "Is taxable" box for service items? 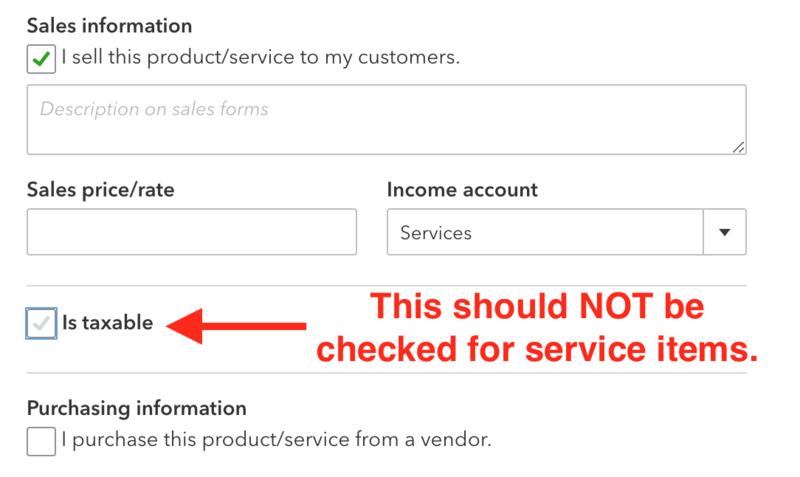 If you're creating service items for SellerZen, you'll need to make sure that the services you created (for example, for the FBA Pick & Pack Fee) have the "Is taxable" box unchecked. Having it checked will affect your sales tax report details.